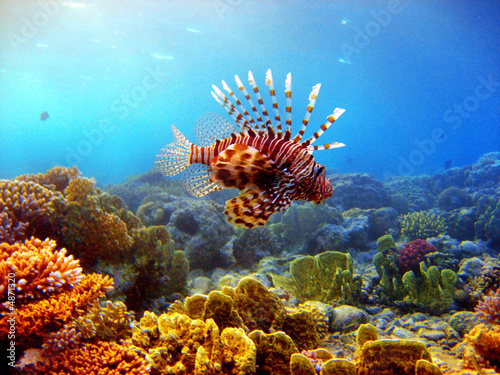 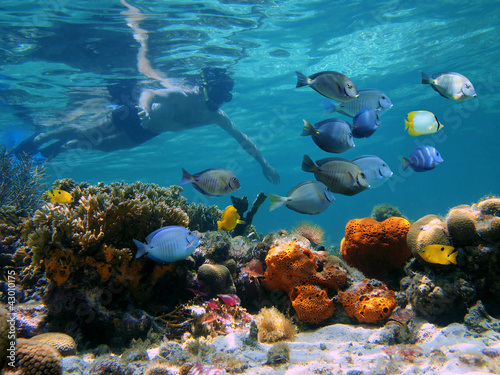 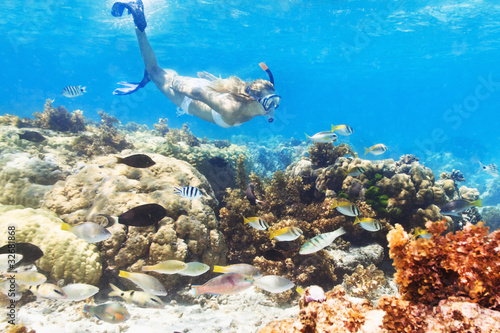 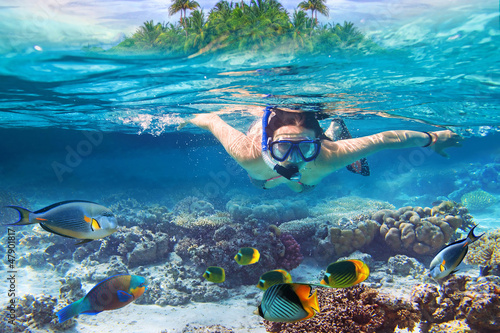 Young female snorkeling in tropical sea. 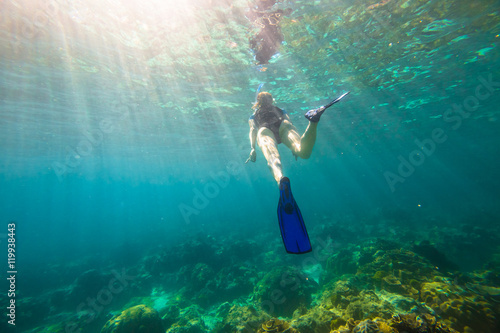 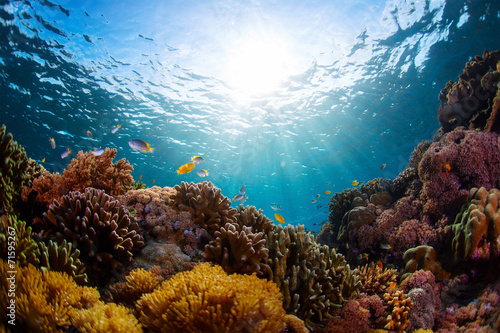 Woman apnea swims in coral reef with sunbeams. 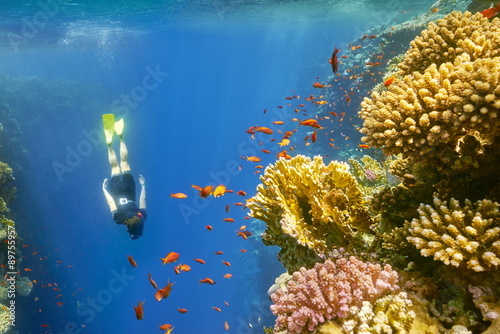 Snorkeler Maldives Indian Ocean coral reef. 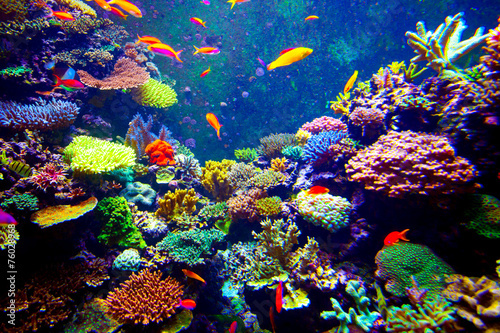 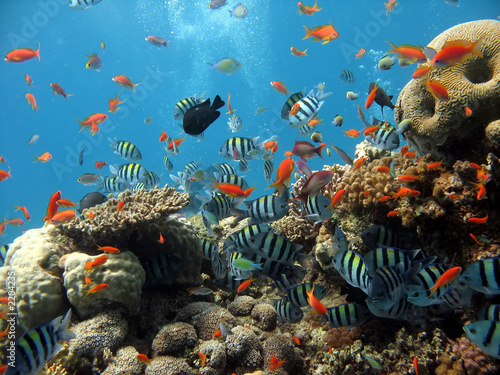 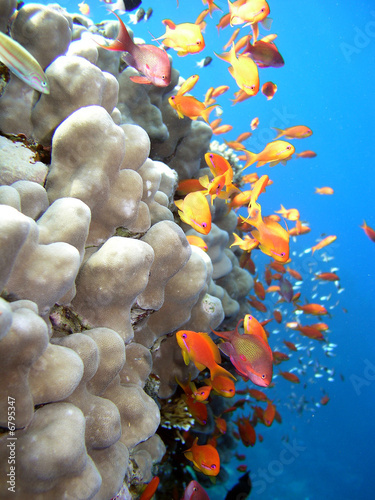 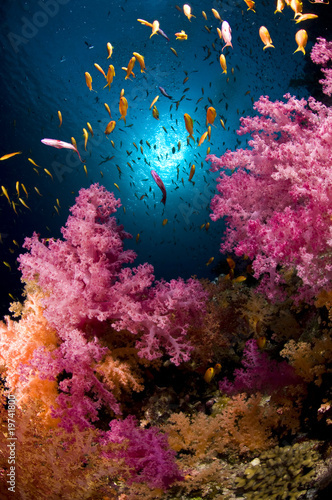 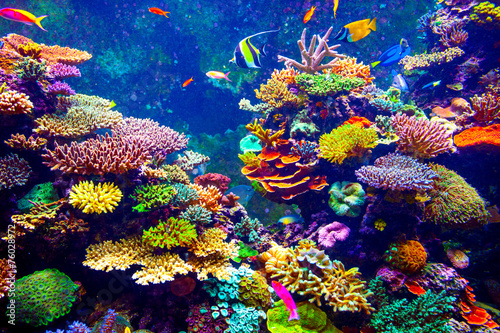 Group of coral fish water. 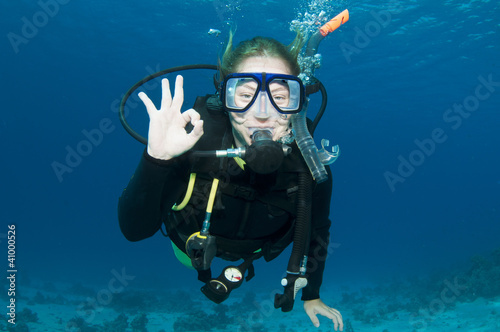 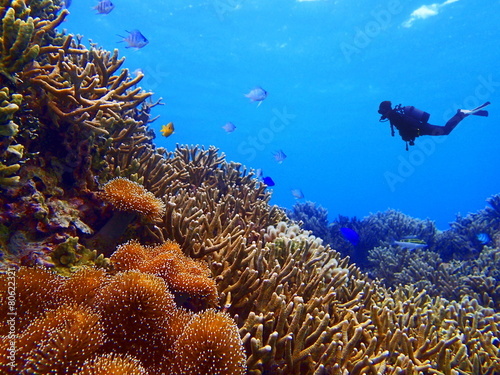 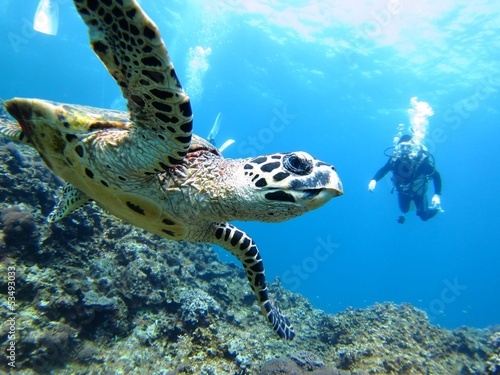 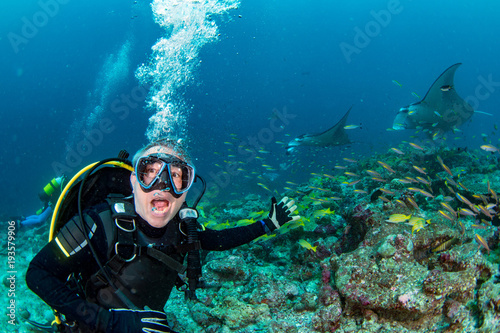 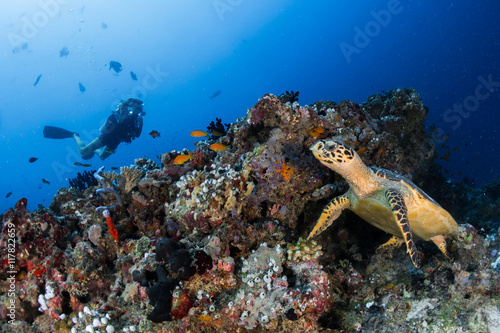 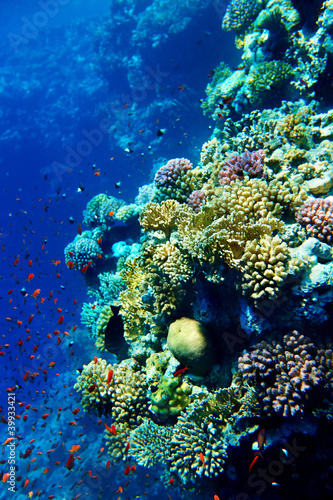 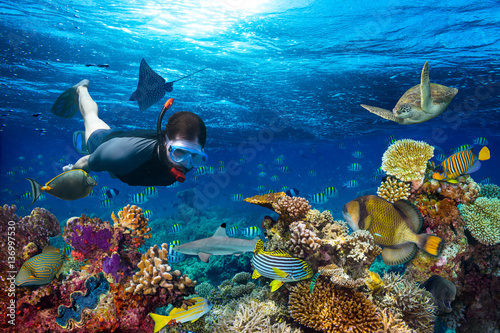 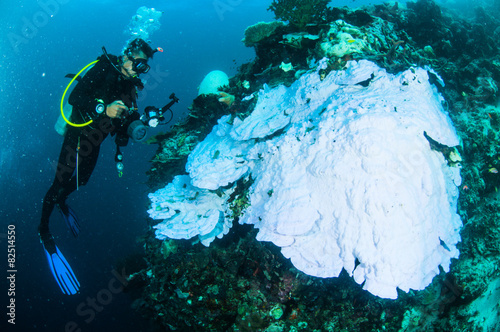 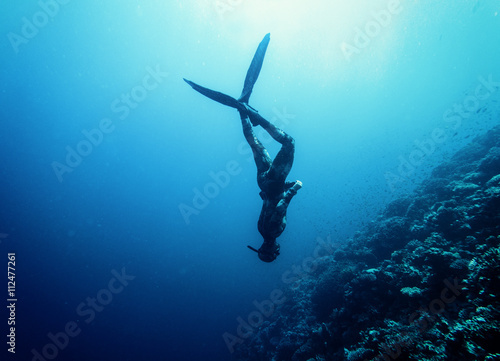 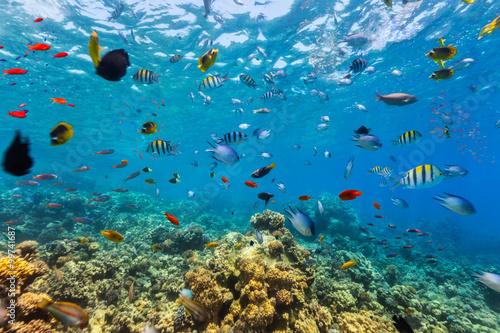 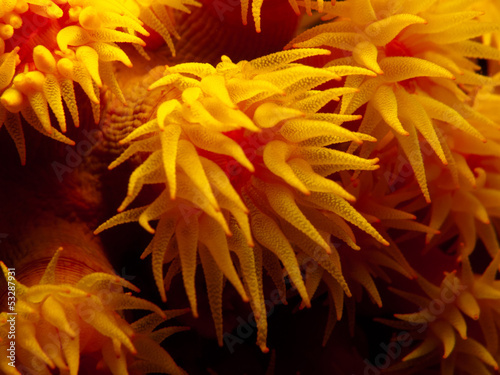 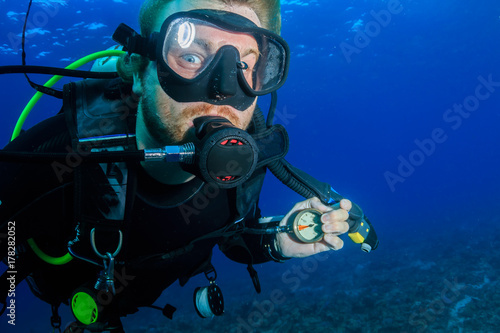 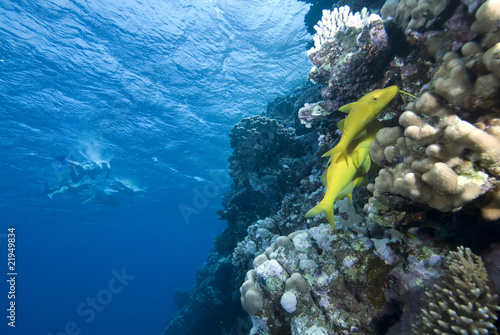 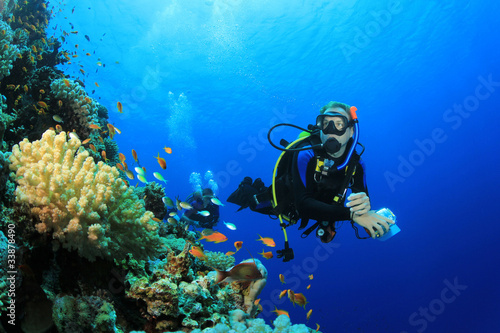 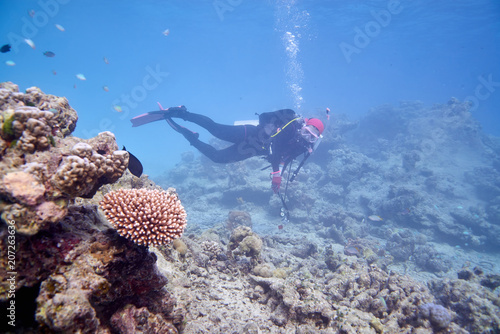 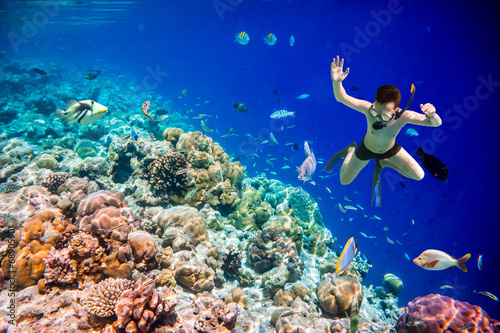 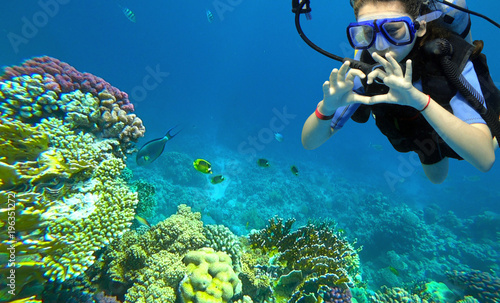 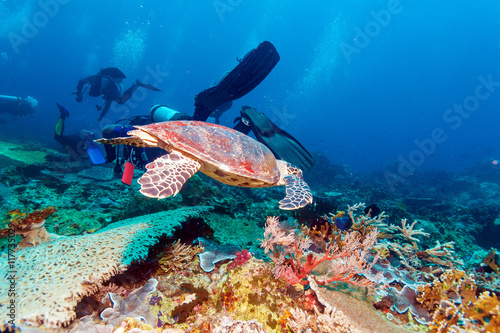 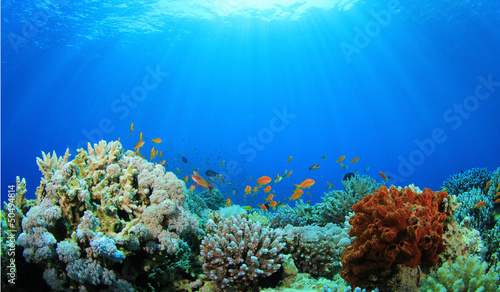 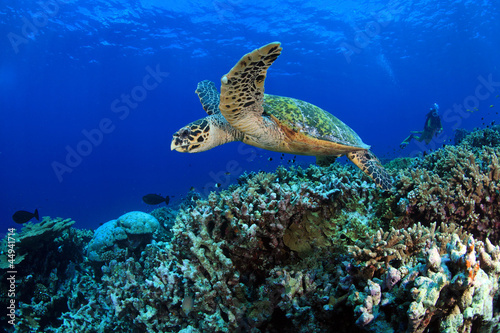 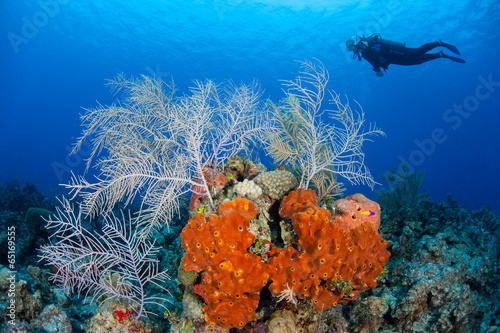 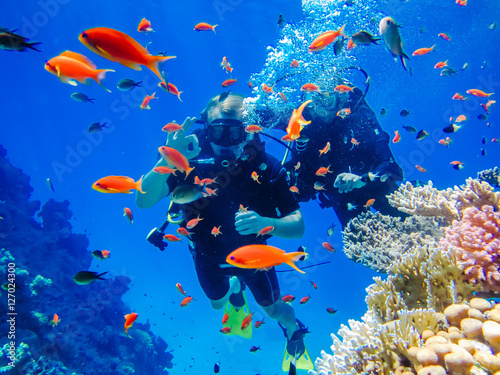 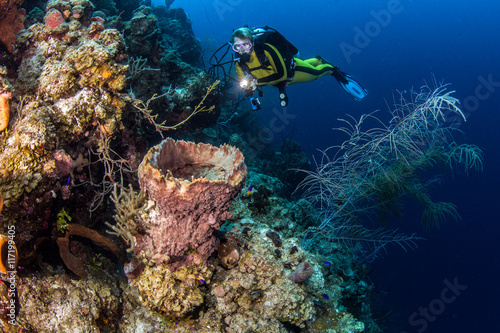 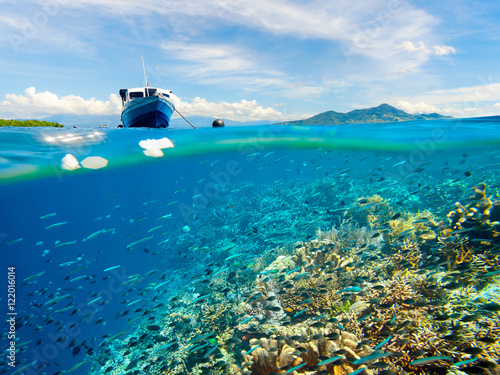 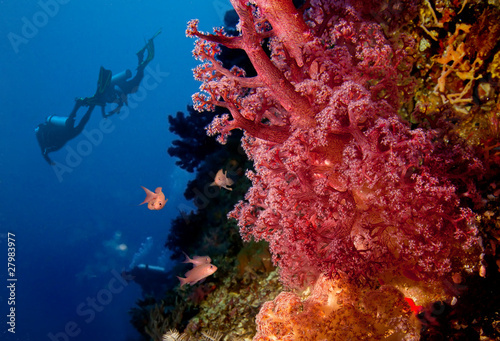 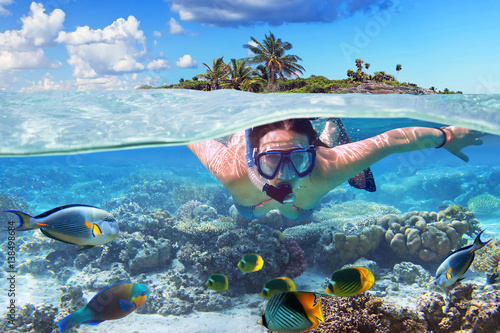 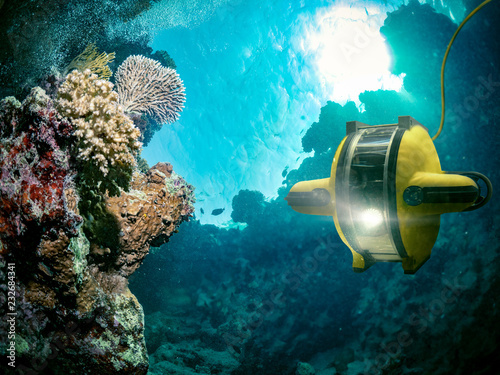 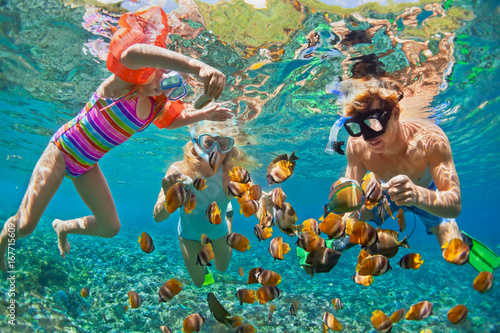 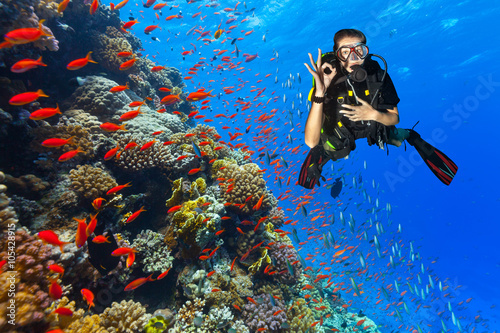 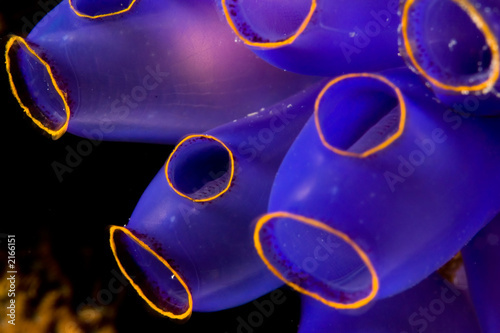 Underwater photo of young cute romantic love couple exploring and enjoying with goggles in the exotic turquoise sea near the coral reef while holding hands together.